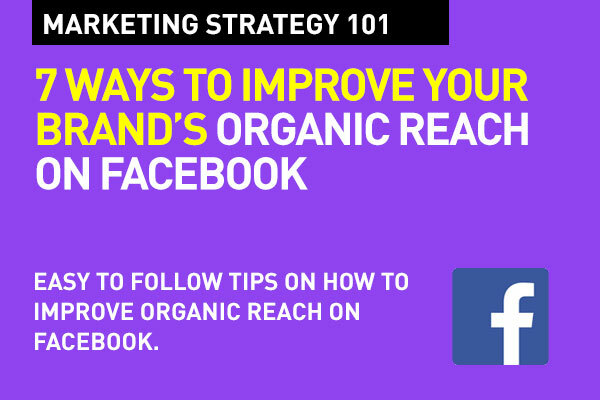 Your brand can still win the organic posting game on Facebook with these simple tips. Many brands are running away from posting organic content on Facebook. Sure, paid posts reach more people. Facebook's content explosion has resulted in the average organic reach dropping to around 2%. Organic content still has value on Facebook, and Pages that publish great content — content that teaches people something, entertains them, makes them think, or in some other way adds value to their lives — can still reach people in News Feed. There are so many theories about best times to post on Facebook. 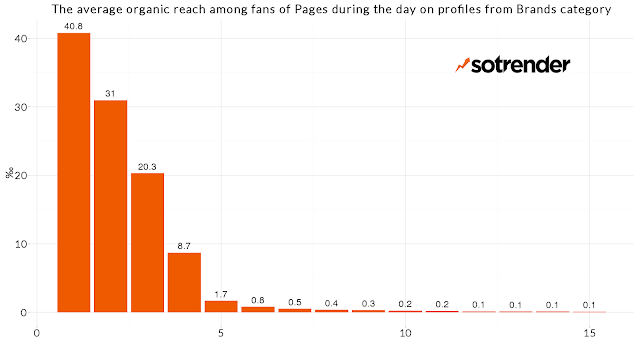 Check your Facebook Insights to see when your fans are online. That's one way to go. One other way is to try post in off peak hours (6pm - 8pm) checking to see when maximum fans are on during that period. Your chances of appearing in the feed increase since other Facebook pages aren’t posting during this period. Less competition means better results. As your post receives better engagement, Facebook will distribute the post to more of your fans. And, as well, you'll be able to reach global audiences in different time zones from yours. The life of a post in Facebook News Feed is also dependent on recency. If you publish timeless content, then it remains useful and interesting for your audience for longer periods. They’ll keep liking and commenting on your post. Because of this increased engagement, the Facebook algorithm will ensure that your post gets distributed further and that it appears in feeds for longer periods. Keep track of this from Insights on which posts show continuing interest. Give the content a new spin and post them multiple times. You should post the evergreen content at a different day and time than the first occasion. Some forms of typical evergreen content include "How to" posts, FAQs, Tutorials, Testimonials, Links to Product User Manuals etc. Don't just stick to photos. Mix up your content with photos, links, videos, status updates. You'll know which ones do better for your brand from Insights on your page. Don't forget that links drive traffic to your brand website a lot more than photos. Photos somehow have the least organic reach according to Social Bakers. People are watching 100 million hours of video on the social network each day, CEO Mark Zuckerberg said while delivering the company's fourth-quarter financial report in January. Facebook boasts 8 billion video views per day. Native videos have become the top performer in News Feed. Video on Facebook plays silently until you click on it.Your video has to be high-quality from the first frame. It needs to grab attention, even without sound right away. For each video you post to your Page, you can view metrics like video views, unique video views, the average duration people viewed your video and audience retention. These metrics are designed to help you learn what’s resonating with people and tune the length and content for your video audience. To better engage your video viewers, you can add a call-to-action (CTA) to visit your website or a destination of your choice. The CTA can be Learn More, Shop Now, Sign Up, Book Now, Download or Watch More. Adobe tells us that there is a huge increase in brand frequency on Facebook. A lot of this is driven by news broadcasters and media brands. But as a regular brand, don't post 15 times a day. Here is another study by Locowise on 600 Facebook pages (with 250 million combined likes), to find out their reach and engagement vs frequency. • Avoid posting more than 2-3 times/day. It just turns your audience off. • Post quality content. Engage your audience with humor, inspiration and educational content. You can be successful, even with a higher posting frequency, by providing variety. Mix your posting schedule and post types. • Test your frequency results. Only your insights can reveal your audience’s exact response. 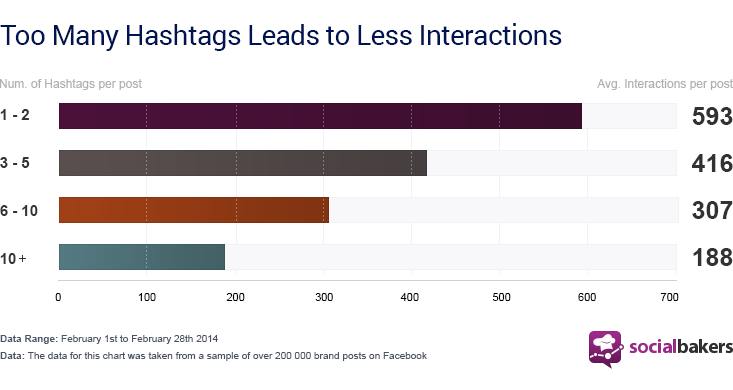 Unlike Twitter or Instagram's love with hashtags, Facebook does have hashtags, but it's a love hate relationship. See results below from a Social Bakers study. Keep a limit on hashtags to 2. Customer Insights is your First Step in Digital Marketing. Know your audience. Not just from your facebook insights. You should have all the data you can get about your audience from all data points so you know your audience better. Stay on trend. Remember, it's simply not just about your brand or product. It's actually about your audience and what will inform, entertain and keep them loyal. Post content that will resonate with your audience and keep them looking for more from you. Funny, you think, I'd say that in a post on how to improve organic reach. But you need to focus on metrics that really mean something to outcome. You need to measure traffic generated to your website, leads generated, products purchased, not just reach. Yes, you shouldn't abandon organic posts, and yes, you can get it right, but once you have used some simple tips above, focus on the real goals. (See link below on how to measure social media success). • How to use Facebook Live video like a pro. The essentials of getting it right. Useful post on how to improve Facebook organic reach. I know that many brands only use Paid Posts these days because they feel that reach with organic is poor. Facebook is partly to blame for this as well. Hey, Wow all the posts are very informative for the people who visit this site. Good work! We also have a Blog/site by name Simply Global Media which covers Best Digital Marketing Services. Please feel free to visit our site Digital Marketing Company Thank you for sharing.